China's foreign trade of goods fell 13.8 percent year on year in February to 266.36 billion U.S. dollars, customs data showed Friday. Exports dipped 20.7 percent year on year to 135.24 billion U.S. dollars last month, while imports decreased 5.2 percent to 131.12 billion U.S. dollars, the General Administration of Customs said. 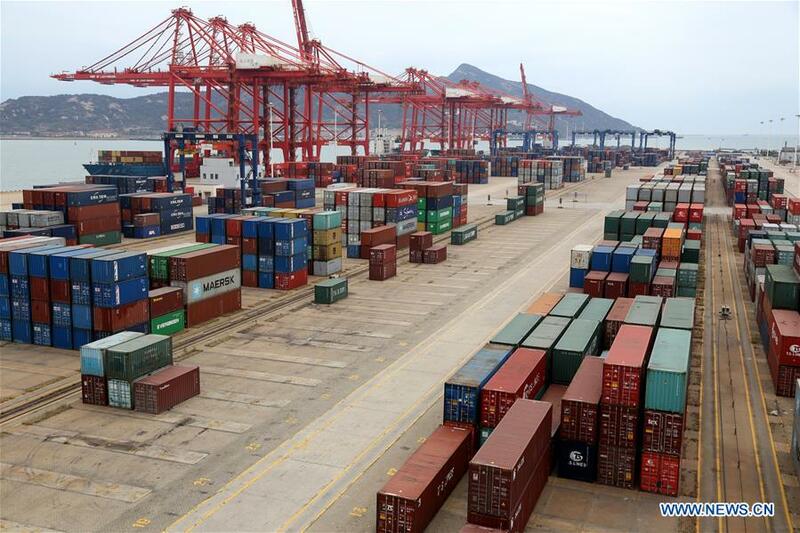 However, deducting the Spring Festival factor, China's foreign trade rose 3.9 percent year on year in February, with exports increasing 1.5 percent and imports rising 6.5 percent, respectively, in U.S. dollar-denominated terms. During the first two months, China's foreign trade amounted to 622.72 billion U.S. dollars, down 3.9 percent year on year. Exports were down 4.6 percent to reach 353.21 billion U.S. dollars, while imports retreated 3.1 percent to 309.51 billion U.S. dollars. The trade surplus stood at 43.7 billion U.S. dollars, down 13.6 percent from one year earlier. During the Jan-Feb period, China's trade with the European Union, ASEAN countries, and Japan increased 8.9 percent, 1.9 percent and 4 percent, respectively, while trade with countries along the Belt and Road registered faster-than-average growth, with the combined trade volume standing at 1.28 trillion yuan (about 191 billion U.S. dollars), up 2.4 percent year on year. Exports to the United States fell 9.9 percent, while imports tumbled 32.2 percent during the two-month period, the data showed.